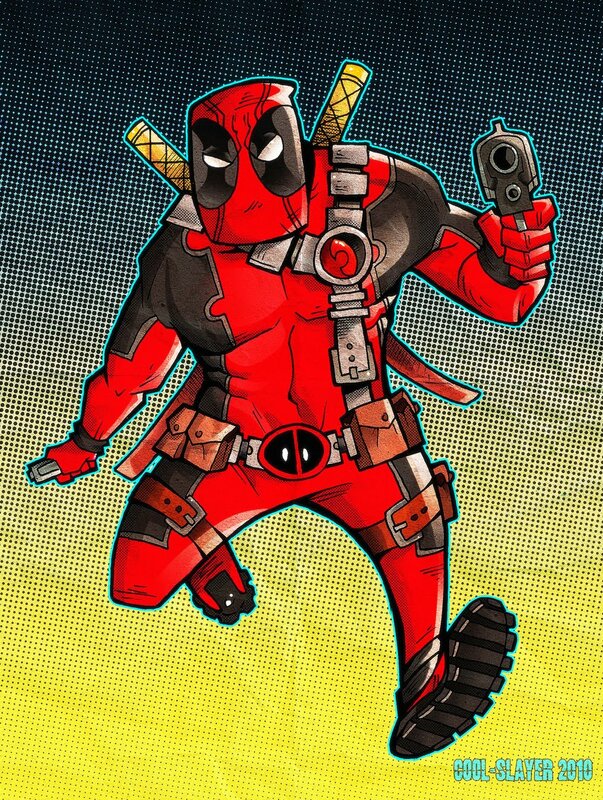 Lately, me and Pedro Carvalho have been getting into Deadpool. We weren't very familiar with the character, so we started buying some of the newest Deadpool comics, and surprise, surprise... we really liked them. I mean, there's not much in the way of depth here, but Deadpool - also known as the Merc with a Mouth - is a very funny character and that makes the comics entertaining. So it was only a matter of time before I tried to draw Deadpool. 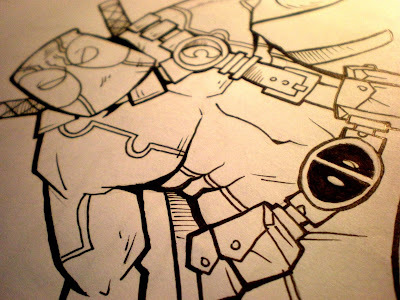 And here is a short cute-ish Deadpool for you. See, I promised new stuff and here it is. More to come soon, I hope you like this! And some scratches on the suit, since he's always getting hit (not that it maters to him anyway). sweet! you know, I don't know if I ever told you this but your artwork rocks in inks too, I really like that you show the ink photo it gives your posts an original look. go cools!